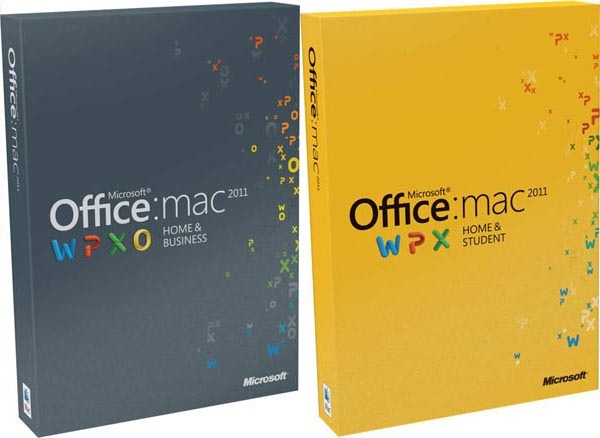 Office for MAC 2011 comes in two editions - Home & Business 2011 and also Home & Student 2011. 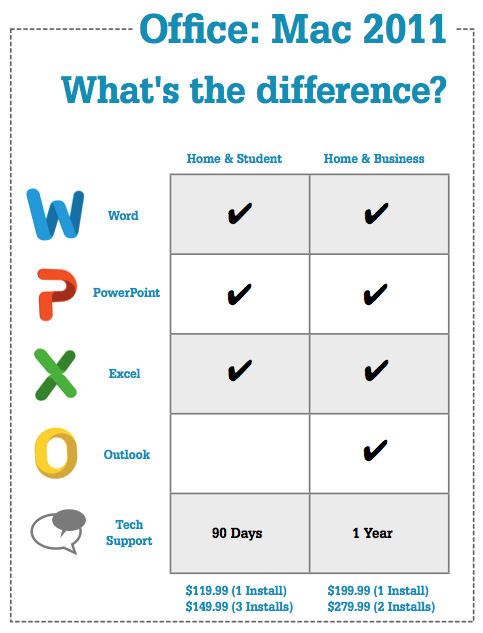 Home & Student 2011 includes Microsoft Word 2011, PowerPoint 2011, and Excel 2011. 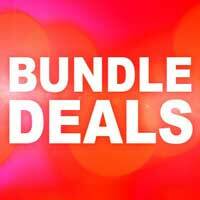 Home & Business 2011 includes Microsoft Word 2011, PowerPoint 2011, Excel 2011, and also Microsoft Outlook 2011. 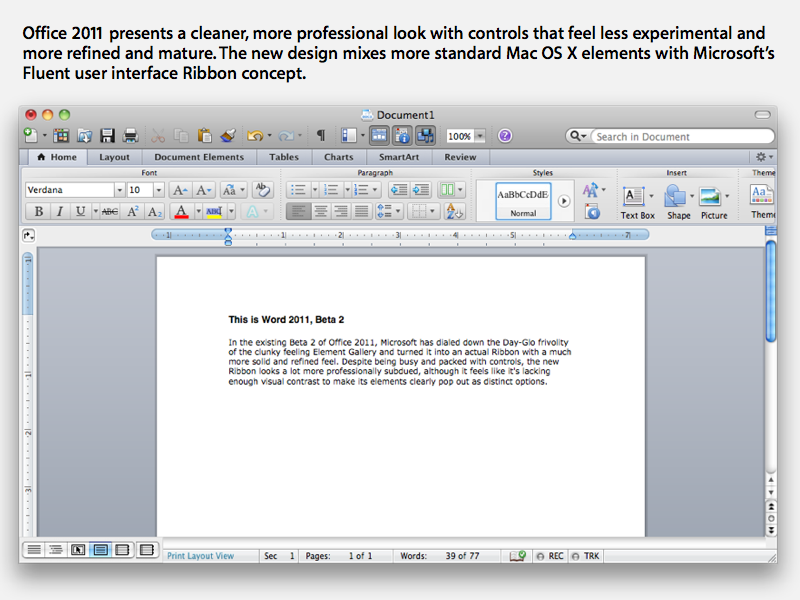 Microsoft Office Application Suite is the 2011 edition of Office for an Apple Mac. This edition also contains numerous new and exciting features that will surely make the work lives of the users easier. 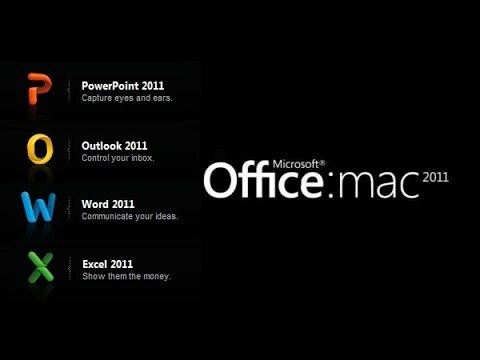 Office for MAC 2011 provides a streamlined user interface, a more robust Excel for creating spreadsheets, and a version of Outlook that finally looks and acts like the PC version. Plus, you get a PowerPoint that's finally robust enough to take on Apple's dazzling Keynote software as well as a familiar version of Word. Microsoft also promises that files will open and save faster, and that the program generally executes tasks faster than its predecessor 2008. 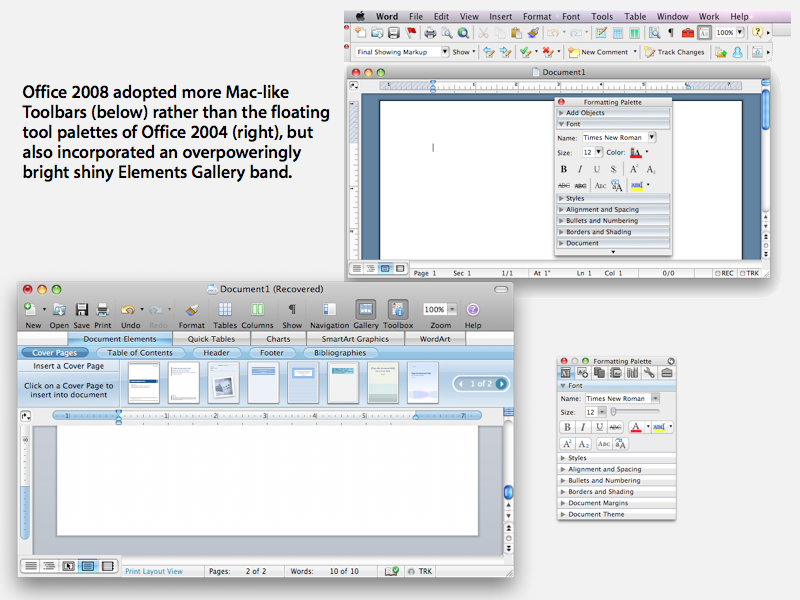 Mac 2011 for Office ushers in the Ribbon interface and it's goal is to minimize the time users spend digging through top-level menus, such as View or Insert. Now, each program has a row of tabs on top, the names of which vary depending on whether you're using Word, PowerPoint,Outlook or Excel. The latter, for instance, include tabs for Layout, Tables, Charts, SmartArt, Formulas, Data, and Review. When you click on one of these tabs, you'll see a kitchen sink of icons in any of the 4 programs. Mac 2011- it's better than its predecessor: faster, more attractive to look at and more enjoyable to use, with better feature parity between the Mac and Windows versions and higher functioning when transporting documents to and from Windows. In general, the 2011 suite is better designed and feels more responsive than the 2008 edition. 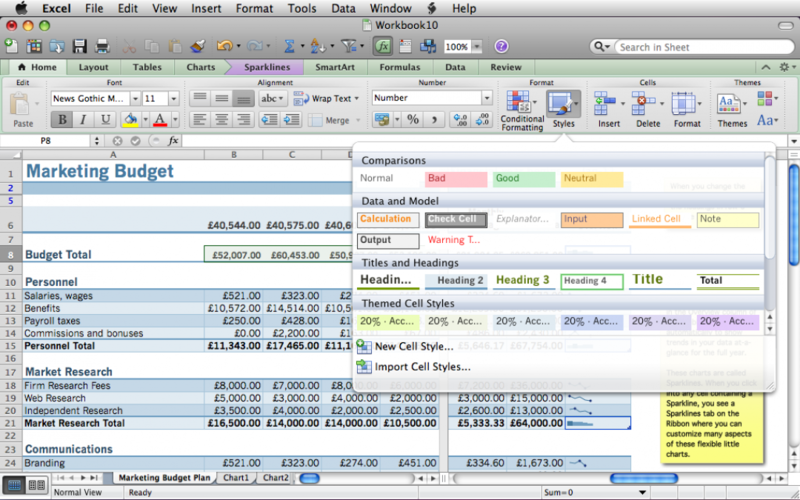 Excel 2011 - Spreadsheets made easy. With Excel, you can use Pivot Tables to simplify any potentially long, detailed database of numbers. If you don't want to create a Pivot Table, Excel also has impressive filtering tools, letting you hide the cells, columns, and rows that are irrelevant to you. Furthermore, users can add small charts right in a spreadsheet. While tables and charts were always an option, this is a helpful way of digesting raw data and a visual explanation at once allowing for easy visual comparisons. 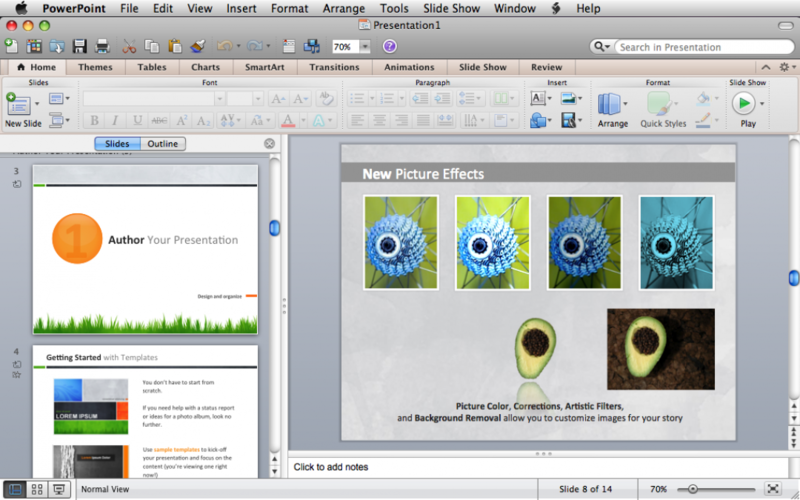 PowerPoint for Mac, now lets users broadcast slideshows, meaning they can send many people a link to the presentation, which they can view on PCs, Macs, and mobile devices, including iPhones and iPads as well as other devices. The recipient does not need to have PowerPoint installed to view the presentation; just a browser and Internet connection making things simple. 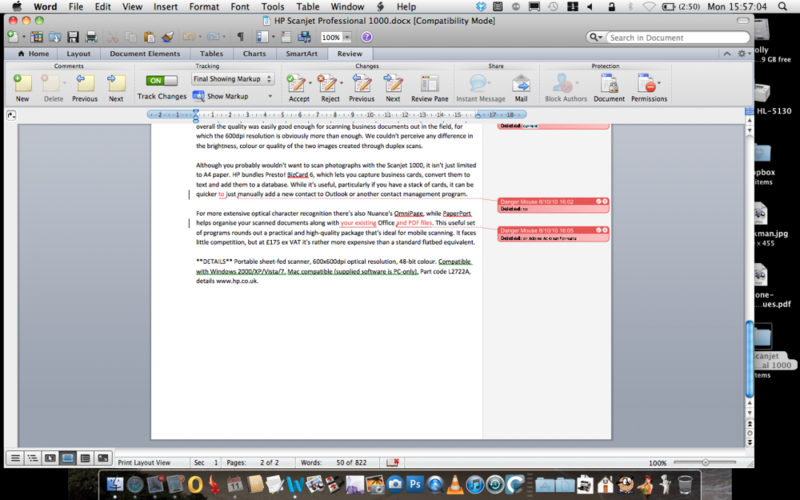 Word provides a multitude of features as well as creating, reviewing and editing docuements to the ability to add and edit photos, users can work in full screen mode, as well as take advantage ofpublishing layouts to achieve a better sense of how a visually complex document, such as a brochure, will look when printed as well as a generally improved user interface. 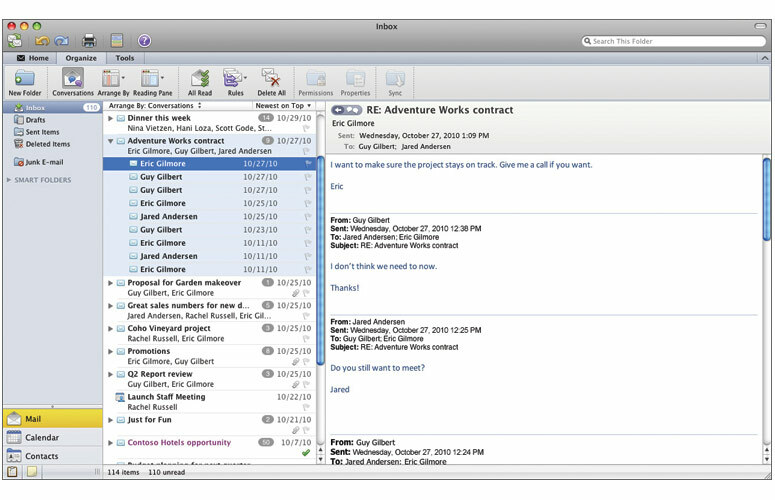 Within this version of Office for Mac, Microsoft has re-branded its e-mail client. Moreover, it has an interface and feature set that more closely matches Outlook for Windows PC's makinng this version ever so familiar thus providing some universal consistency in user experience for all. MAC OSX Leopard (10.5.8), Snow Leopard, Lion, Mountain Lion, Mavericks, Yosemite, EL Capitan and finally Sierra. NOT Compatible with the more recent up to date versions as it has discontinued compatibility. In general any MAC purchased between 2011 and 2016 is more or less compatible. If youhave upgraded to HIGH SIERRA or a newer Operating system you will not be able to use this product.